Solace London's Laura Taylor and Ryan Holliday-Stevens love to experiment with volume and proportion - just look at this 'Noe' skirt. 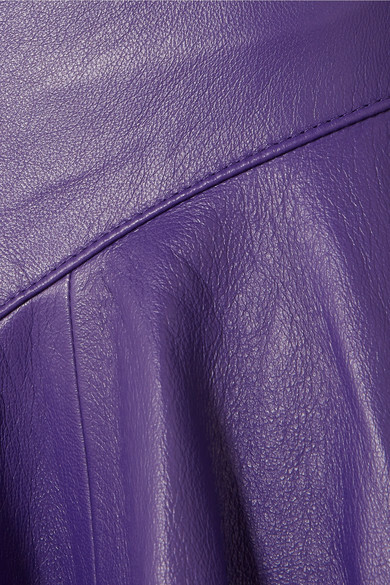 It's cut from purple leather with an asymmetric, ruffled hem that gives it a sculptural quality. The silhouette will draw the eye down, so make sure you wear statement sandals. Shown here with: Solace London Sweater, LOW CLASSIC Shoulder bag, Ellery Sandals, Jennifer Fisher Earrings.